Aerial photograph of the Palue Glacier, Bernina Group, Switzerland. 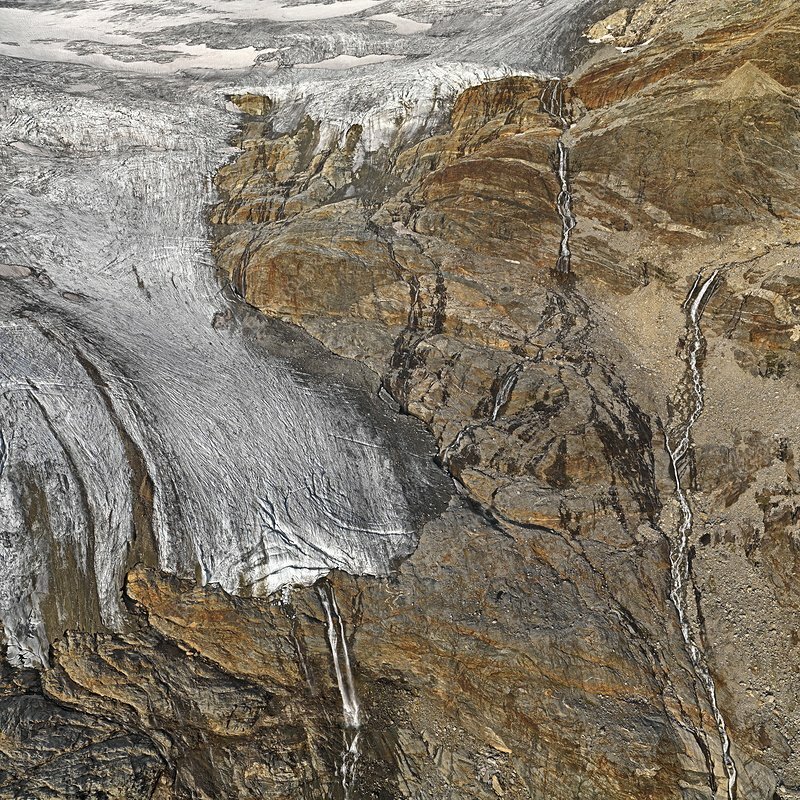 The Palue Glacier retreated more than 150 metres in length between 2001 and 2009. In summer, a number of meltwater brooks rush down into the valley from its frayed ice front.